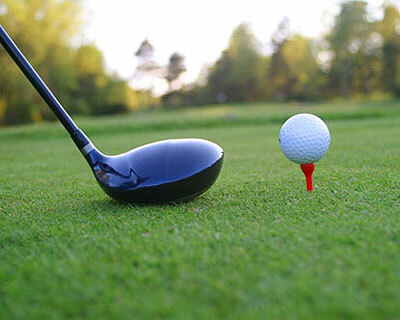 Golf Fun…Any Way You Slice It! Sun-drenched Caribbean courses swept by cooling trade winds, rolling fairways amidst Arizona’s sandy desert ravines, championship greens under the towering Canadian Rockies…a literal world of possibilities awaits! When you are ready to book your Golf Vacation, give us a call at 310-722-3099 or email us at Info@carterelitetravel.com for some great deals at some of the best golf courses in the world. An American island that’s truly blessed with culture, history, and natural beauty, Puerto Rico welcomes you with open arms and encourages you to explore beyond the shore. Puerto Rico is a Caribbean island with a difference. It has pristine beaches, tropical climate, crystal-blue sea, and coconut palms characteristic of its counterparts, but along with is unmistakable Spanish colonial heritage, the island is today part of the United States Commonwealth, meaning it has American-style infrastructure mixed in with its traditional Latin American culture. Hamburgers are as endemic as island dishes like sancocho, and freeways connect shantytowns to strips of high-rise beachfront hotels. The second thing that makes Puerto Rico different to other Caribbean vacation meccas is that it remains largely undeveloped, except for the coastal region around its capital city, San Juan. 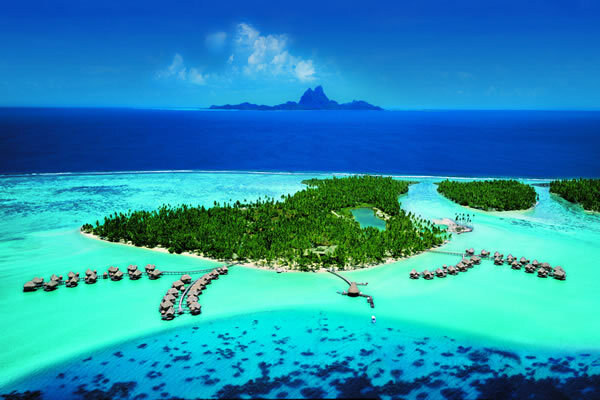 The island is edged with some magnificent beaches featuring coral reefs, most not commercialized and easily reached from the capital and large resort hotels. Exploring Puerto Rico, both around its coast and the interior, is a delight. Roads are excellent, and there are numerous interesting attractions and unrivalled experiences, from the world’s largest radio telescope, to the magical experience of swimming at night amongst tiny phosphorescent creatures on the offshore island of Vieques. Historically, Puerto Rico, like many other Caribbean islands, was originally inhabited by Taino Indians until the arrival of Christopher Columbus and the instigation of Spanish rule and settlement. The island’s capital and larger towns have preserved their Spanish heritage as “old quarter” tourist attractions, full of charm and interest. Puerto Rico is a hybrid of old and new, which makes it an intriguing destination, rather than just another tropical island paradise. With a stately, cosmopolitan image, San Miguel de Allende is one of the best places in Mexico to absorb the country’s history through picturesque, small-town surroundings. both old and modern flavors coexist in this Magical town, in its colonial architecture, handicrafts, hot springs, delicious cuisine and much, much more. 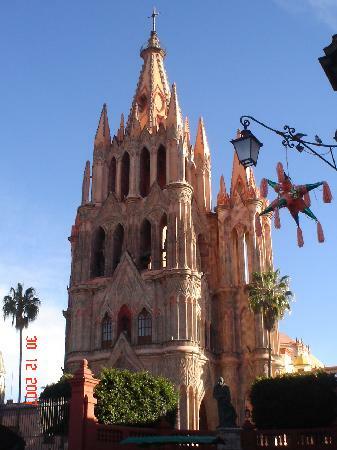 Surrounded by hills and forests, San Miguel de Allende awaits, 94 km from the city of Guanajuato. A tour around town can begin and end anywhere; its streets mirror history, with each step evoking the intellectual and revolutionary activity of the town’s most prominent figures. It is ideal for a relaxing, quiet stay. The wealth of decorative detail in the town’s architecture is echoed in the San Francisco Church. its churrigueresque facade, a masterpiece in its own right, displays sculptures amongst inverted pyramidal estipite columns. The church interior was remodeled to reflect 19-century architecture, with a tabernacle and altars added. the sacristy also displays paintings by Juan rodriguez Juarez and Juan Correa, renowned colonial artists. Its panoramic views, numerous cultural and historical attractions, and pristine environment help make picturesque Grenada one of the Caribbean’s best-kept secrets. 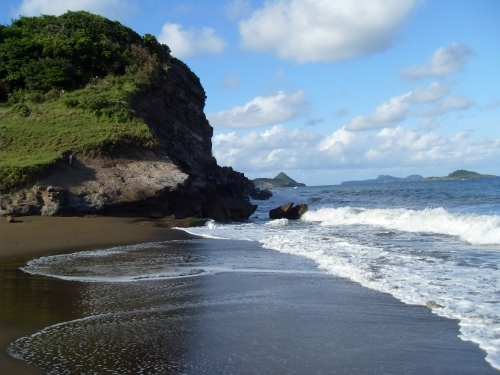 Blending a rich heritage with amazing natural beauty, Grenada greets its guests with the enticing, exotic aroma of cloves, vanilla, nutmeg, and cinnamon – all befitting a place popularly known as “The Spice Island”. Situated in the lower extremes os the Windward Islands, the island is packed so full with breathtaking vistas and lush plants that the original Spanish colonists called it “green hills,” after their own city of Granada, Spain. 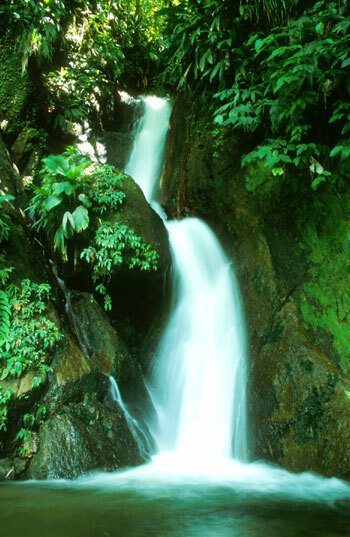 Today, visitors can still enjoy all the same thriving rainforests, cascading waterfalls, blue lagoons, coral reefs, and secluded beaches that enchanted European colonists centuries ago. Dive into the surf – or under the surf – at more than 40 discrete black and white sand beaches along the Atlantic Ocean and Caribbean Sea. Stunning reefs and historic shipwrecks await the scuba diver, and sport fishing, kayaking, and sailing amid azure waters are also popular diversions. Perhaps the most picturesque seaport in the Caribbean, the capital city of St. George is a colorful mix of 18th-century French and Georgian English architecture set against a backdrop of steep hills. Cobblestone streets wine past historic churches and marketplace to the busy harbor. St. George is also the perfect place to sample a distinctly Grenadian cuisine that blends African, French, Spanish, and Indian influences. Local delicacies and fresh seafood – seasoned with the spices that the island is famous for – are the bedrock of some of St. George’s best eateries, many of which also provide panoramic harbor views.